CPC specializes in manufacturing Grocery Scale Label Rolls. CPC uses only premium quality material and prints Grocery Scale Label Rolls to exact registration, our high performance Scale Label Roll products are precisely machine matched for trouble free operation. 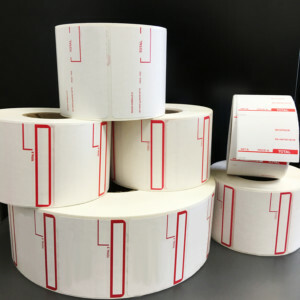 Our standard scale labels are in stock and ready to ship, call us today to order standard scale labels or let us customize it with your logo printed.